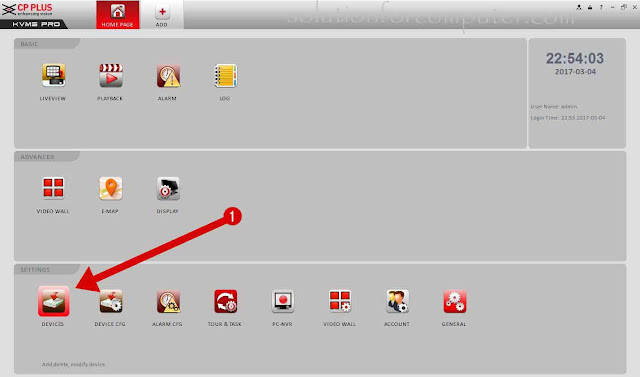 In this post we will learn how to configure cp plus DVR software for pc. 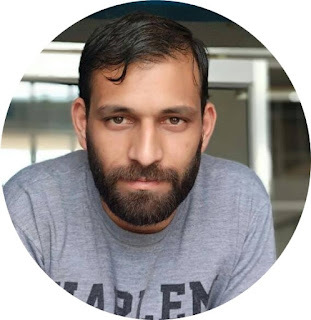 You can easily view cctv cameras in your mobile but main problem is to view your cctv camera in computer. 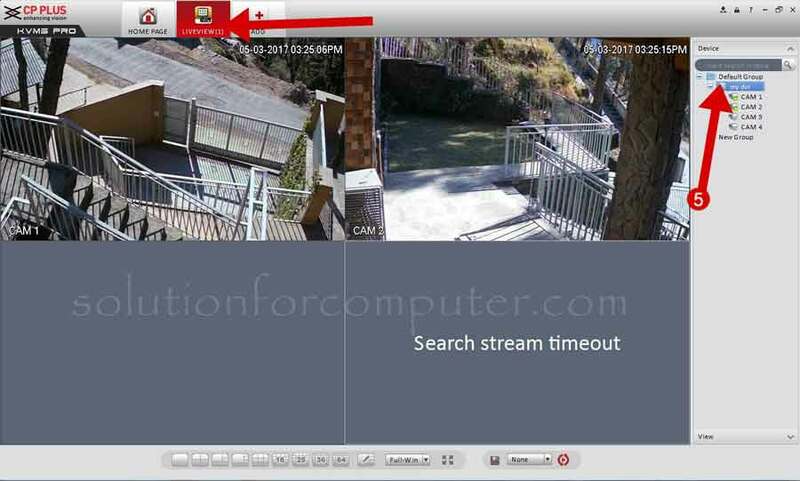 But now you can easily view your cp plus dvr online in your pc after reading this post. When we see cpplus DVR online in mobile then we may need mobile app. Similarly in computer software is required for view online CCTV cameras. You will just need to install software in your computer and configure it for view cp plus dvr online anywhere in computer. Now you need to know that which software is installed in the computer. This software is KVMS pro that's available for both windows and mac. So for view your cpplus dvr online in computer first you have need to download kvms pro software in your computer and install it. 1. 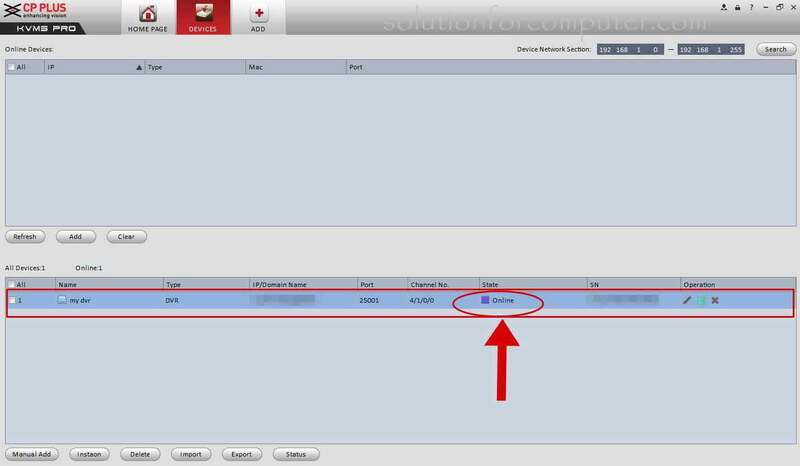 Open kvms pro (default username 'admin' and password 'admin' in kvms software) and click on devices under setting option. If you want to add device on local network so set your ip range and just click on search button your device is show under online devices. select your online device and simple click on add device. 2. When devices is open then click on manual add button to add your cpplus DVR. 3. In manual add input device info. 4. Click on save and continue button. after that your DVR is now added on under online all devices. Now your DVR device is configure successfully for online view. Before see DVR online make sure that your DVR device is show online or not. 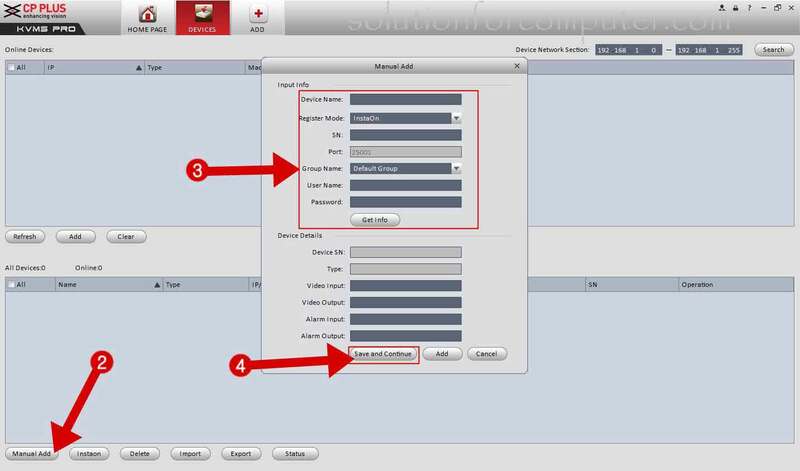 How to view live after configuration of DVR online. 5. Go to home page and select live view. When live view window is open double click on your DVR name for example my dvr. Now you see your dvr device live in computer anywhere. I hope this article is helps you to view your cpplus dvr online in computer by cpplus dvr software for pc. If this article is helpful for you so please share this article on social media- Facebook, google plus, Twitter or other social media. Is it their own Software??? Download kvms pro and this is also available on our download page for windows and mac. kvms pro software have to start automatically when we boot the system like PSS software.Is it any solution for this. DVR CP-0804H-U does not support InstaOn feature, however you can access DVR using Static IP/DDNS. i have already tell you pls add your software in windows startup. hi.. my cpplus dvr is connected to network. and i can veiw it in my mobile. but when I open kvms it shows offine. and also it displays locked in bracket. and I am not able to edit or add serial no. though I uninstalled and reinstalled kvms pro. I am in same state..